How could Obama lose when he had Spock answering his phone!? Today I awoke to good news from our American cousins. Well done you lot! 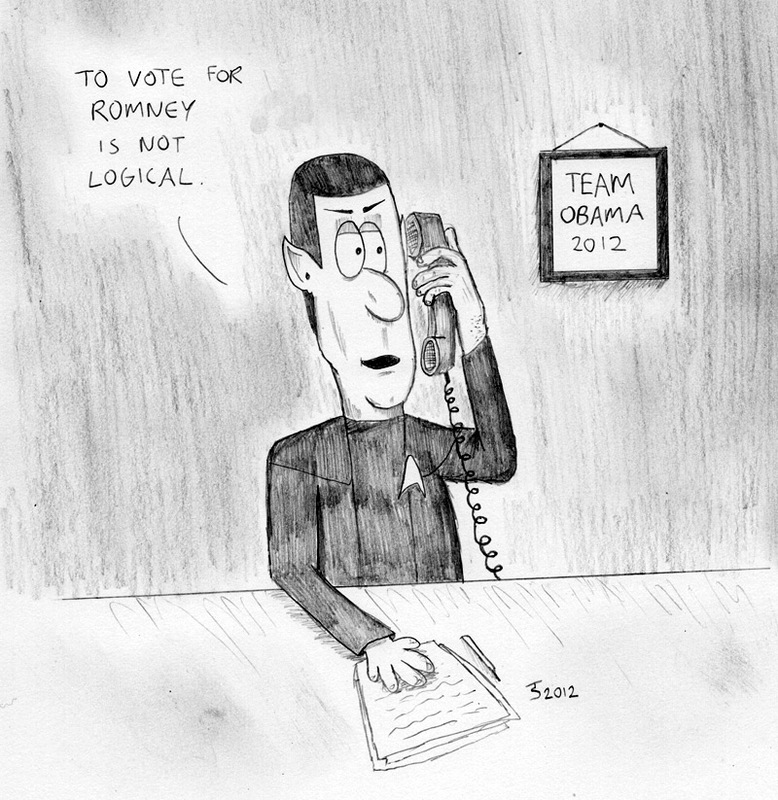 I have to say that when I saw that Zachary Quinto (Star Trek’s new Mr. Spock and all-round descent bloke) was helping out at Obama HQ on the phones I couldn’t resist doing the above cartoon!